Dublin- Clarence L. Zimmer, 88, passed away on Monday morning January 21, 2019 at Rosebud Village in Richmond, Indiana. A son of the late Christian Zimmer and Anna Wolfarth Zimmer. Clarence was born in rural Sunman, Indiana, on May 20, 1930. He graduated with the class of 1946 from Sunman High School in Sunman, Indiana. He enlisted in the United States Air Force in June of 1948. He was sent to Scott Air Force Base near Belleville, Illinois, for training as a radio mechanic. After graduating from this course of study, he was asked to become an instructor, teaching this material to other recruits. In June of 1952, he completed his enlistment and left the Air Force as a Staff Sergeant. He met the love of his life, Arlene Zavertnik, while stationed at Scott AFB. They were married in St. Louis, Missouri, in October of 1952. Clarence received his Bachelor of Science degree in Electrical Engineering from Purdue University in West Lafayette, Indiana and was a member of the Tau Beta Pi honorary fraternity. He was employed by Perfect Circle in Hagerstown, Indiana, after college and was involved in development and testing of early prototypes of what we now call the cruise control. He was employed by Dynamic Precision Controls Corporation of Hagerstown, and later started Z-Tek Company, his own business, in Richmond. In both cases, he was designing electronic control systems for industrial applications. Clarence finished his career at Thomson/RCA, in Indianapolis, Indiana. He was designing control and testing equipment for production of television picture tubes. 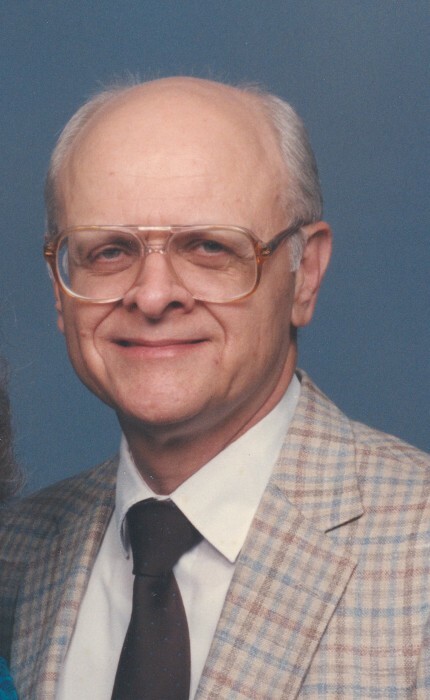 After retirement, Clarence was active in the Indiana Lutherans for Life organization and served as president for many years. He was an active member of Bethany Lutheran Church in Connersville where he sang tenor in the church choir and the Cambridge City Community Chorus. He loved classical music. Survivors, include his wife of 66 years, Arlene F. Zimmer, daughter Sylvia J. (Jim) Russell of Tampa FL, and sons Roger D. (Miriam) Zimmer of Dublin, and Karl R. (Elizabeth) Zimmer of Richmond; Grandsons Phil (Katie) Russell of Centreville, VA and Andrew G. (Casey) Zimmer of Richmond. He was preceded in death by a son Gregory A. Zimmer, also two sisters and two brothers, including Edward Zimmer of Richmond. Visitation will be from 2:00 to 6:00 p.m. Sunday January 27, 2019 at Marshall & Erlewein Funeral Home, Dublin, and 1 hour prior to the services at the church. Funeral service will be at 1:00 p.m. on Monday January 28, 2019 at Bethany Lutheran Church, the Rev. Gene Ott will officiate. Burial will be at Elkhorn Cemetery. Memorial contributions can be made to Bethany Lutheran Church, 2907 Virginia Ave, Connersville, Indiana, or the national organization of Lutherans For Life, 1101 5th Street, Nevada, IA 50201-1816.